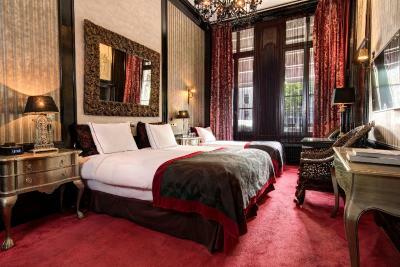 Lock in a great price for The Toren – rated 9.1 by recent guests! 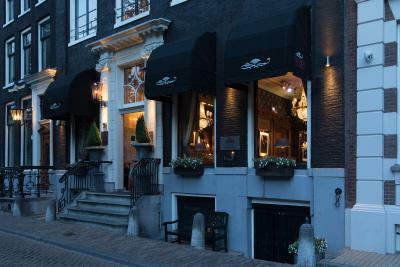 The staff was incredibly friendly and accommodating. 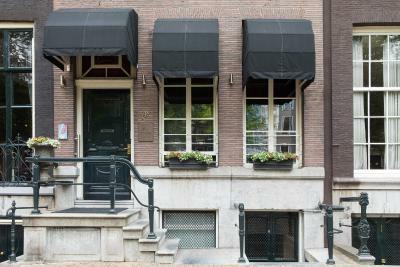 The location was great-near many tourist attractions. 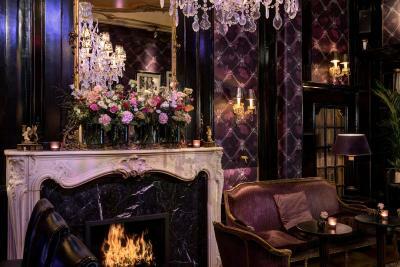 Beautiful decor, if a bit dark in the common areas. The room itself was small-but I was aware of that before I arrived. It was very cozy and perfect for a solo traveler. The staff was exceptional and met our needs exceeding our epectactions. 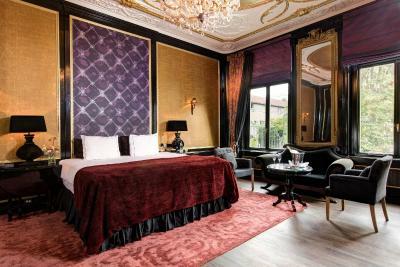 The decor alone is worth the stay! I loved everything about the interior of both my room and the bar/dining area. The location is convenient and the staff is friendly. Perfect location and lovely room, sparkling with crystal and warm velvet furnishings. The staff is welcoming, conversational and informative. I look forward to my next visit. Room and bathroom very spacious. Service was very good and friendly. Enjoyed our nightcap(s) at the hot bar with Gert and Robert. Great location. Fantastic location and the staff was more than helpful, giving great advice and making reservations. Great service, excellent breakfast and very comfortable bed. 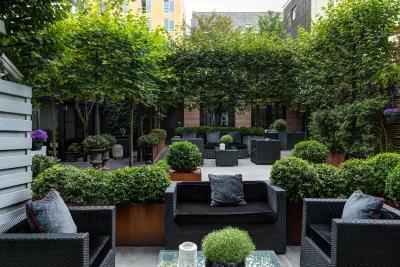 The Toren This rating is a reflection of how the property compares to the industry standard when it comes to price, facilities and services available. It's based on a self-evaluation by the property. Use this rating to help choose your stay! 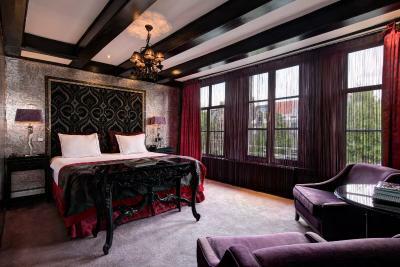 The Toren features elegant accommodations alongside the famous Keizersgracht canal, around the corner from the Anne Frank House. 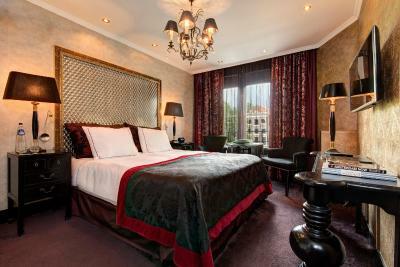 It has elegant rooms with flat-screen TVs with digital entertainment systems. 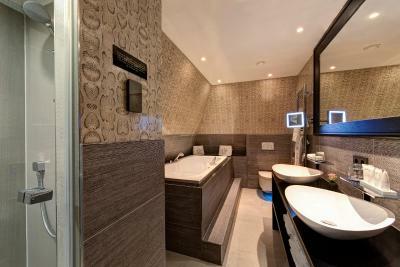 Each air-conditioned room at the Toren has a private bathroom with a bathtub. 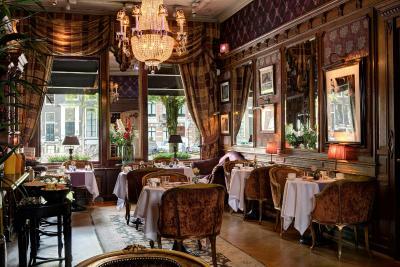 They have classic decorations such as chandeliers and ceiling paintings. 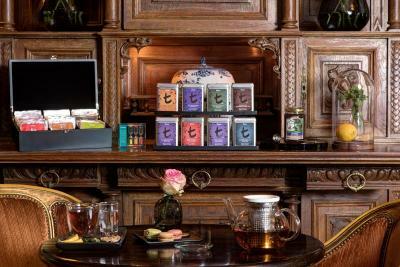 Coffee and tea-making facilities are also provided in every room. 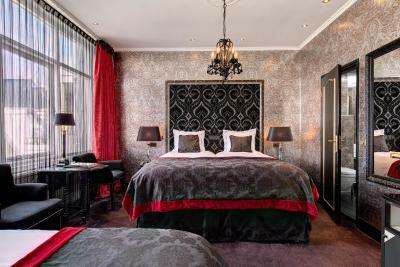 In the morning, guests can enjoy a delightful breakfast buffet in the elegant breakfast room with views of the Keizersgracht. The trendy hotel bar serves refreshing drinks during the day. 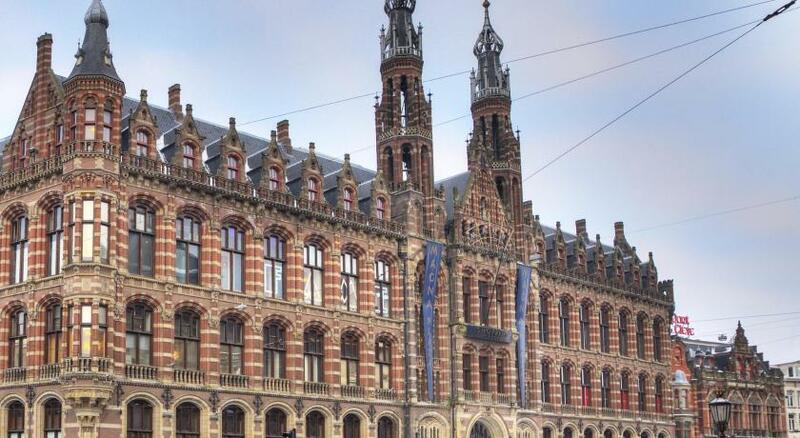 Westermarkt Tram Stop is less than 800 feet from the hotel. 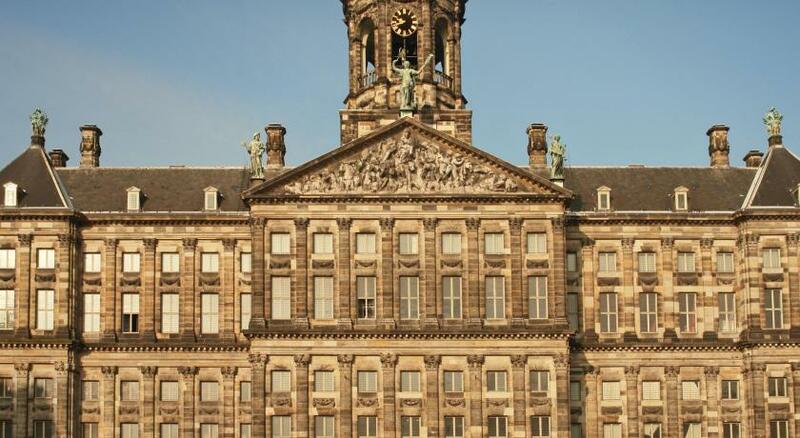 Dam Square and the Royal Palace are a 10-minute walk away. 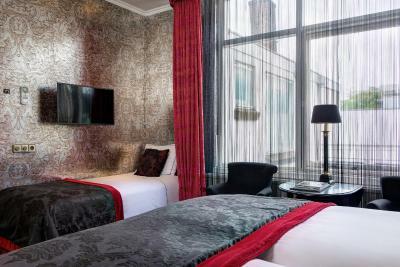 When would you like to stay at The Toren? These compact rooms offer 3 beds. 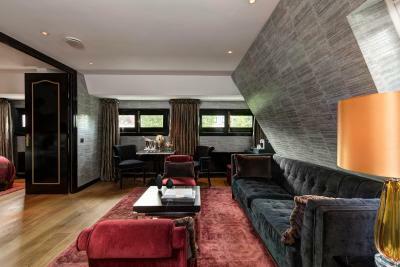 All rooms are located in the Private House and have an internal view. 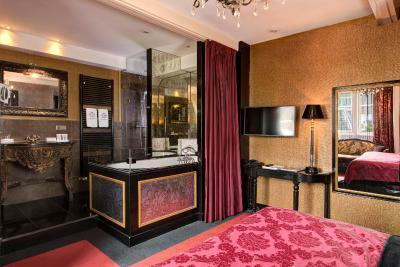 This luxurious room with a bathrobe, slippers, a 2-person hydro- and spa bath and extra toiletries. 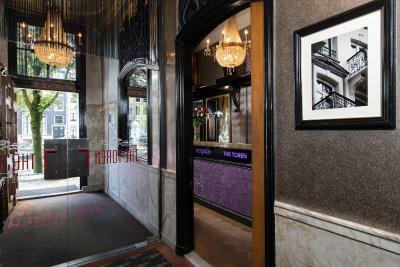 This 2-level suite with a steep stair leading to bathroom, is located in the hotel's annex building which is less than a minute walk away from the main building. Please note that upper story or ground floor requests can't be honored as the room is located on the 1st floor. 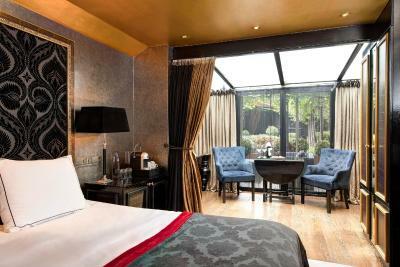 The Royal Suite is located in the Private House and has a view towards the garden. Spacious room with views on the backyard garden. This room is located in the main building or in the annex. Please note that upper story or ground floor requests can't be honored as the room is located on 1 floor. 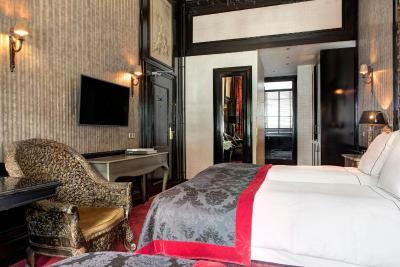 Spacious suite located on the 3rd floor, a 2-person hydro- and spa bath and a garden view. 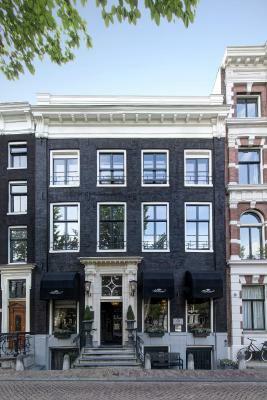 The room is accessible by elevator followed by a characteristic Amsterdam staircase. This cottage has a 2-person hydro- and spa bath. There is a separate shower. 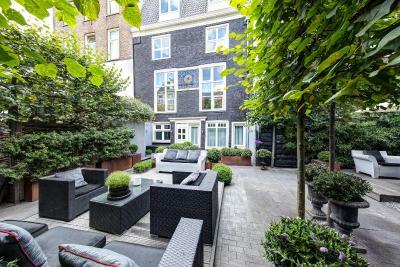 This small room offers a view on the Keizersgracht. These rooms are located in the main building and annex. This room features decor with rich colors and original features. It is located in the annex building, 8 houses away from the main building. 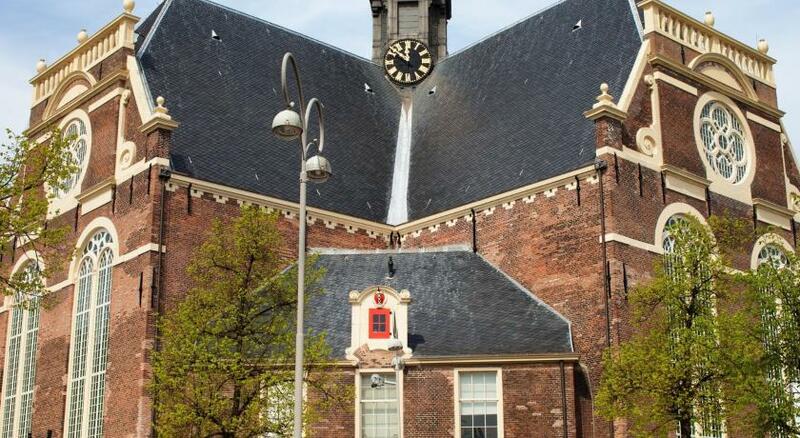 It is internally positioned, overlooking a small courtyard. 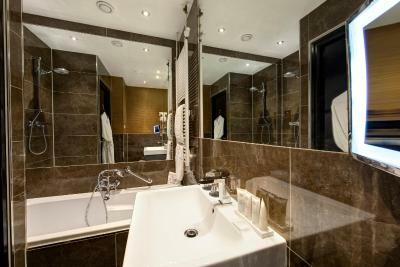 This single room features a private bathroom with a bathtub, shower and hairdryer. 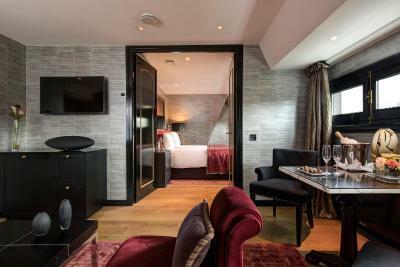 It also includes flat-screen TV, a minibar, an iPod alarm clock and Nespresso coffee and tea machine. Please note that these rooms are divided among the main building and the hotel's second building, which is just 8 houses away. Extra beds cannot be accommodated. 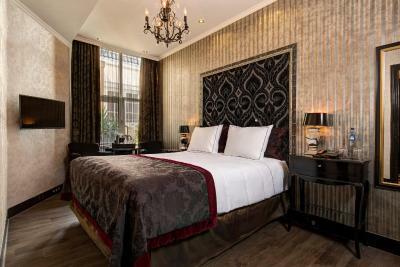 This luxurious double room with canal view has a 2-person Spa bath in the room. 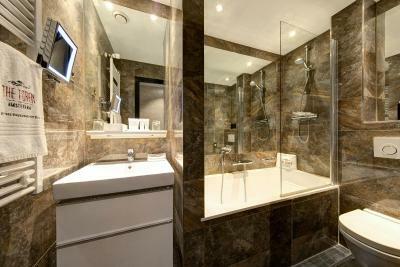 In addition, there is a separate rain shower, a separate toilet and hair drying facilities. 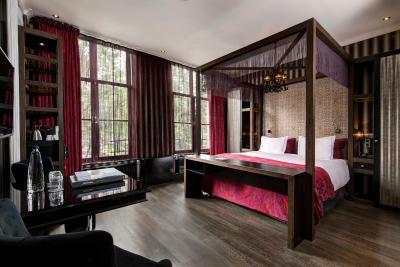 This suite has a steam cabin with aroma therapy and mood-lighting. It also has a double rain shower and a 2-person spa tub. 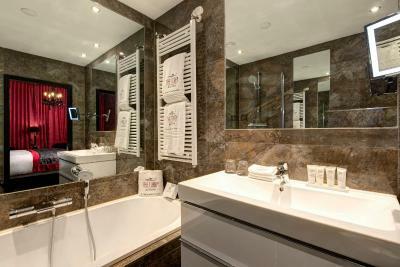 This room is located in the 2nd building and has an private bathroom with bath, shower and toilet. 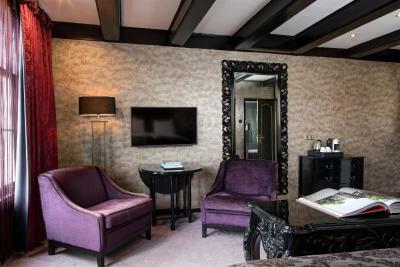 The room has a flat-screen TV, free Wifi, free Nespresso coffee and tea. 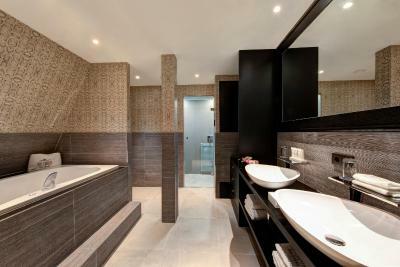 This triple room features a private bathroom with a spa bath. This room is located on the ground floor in the annex, less than a minute walk away from the main building. Canal building The hotel has two 17th century historical canal buildings. 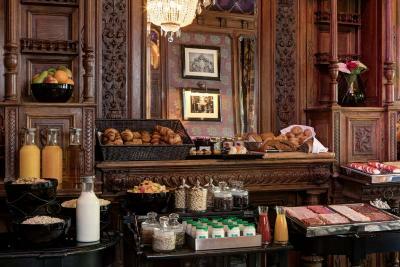 The main building houses the reception and the bar, where breakfast is served every day. The second building is only on a few steps from the main building. 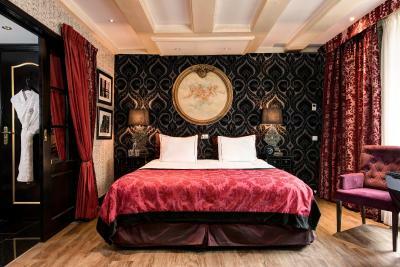 The typical features of the canal houses, along with the nostalgic atmosphere, provides the hotel with a traditional charm. Due to the fixed position of both properties several smaller steps are apparent throughout the hotel. In case of mobility challenges and/or concerns a detailed explanation can be provided. House Rules The Toren takes special requests – add in the next step! ATM card The Toren accepts these cards and reserves the right to temporarily hold an amount prior to arrival. The Toren accepts these cards and reserves the right to temporarily hold an amount prior to arrival. The credit card that has been used to book a nonrefundable rate, will be charged on the day of booking and needs to be presented upon check-in. In case the credit card owner is not traveling with you, an online payment link will be sent to prepay your stay. Please note that the hotel pre-authorizes your credit card with the amount for the first night, 8 days prior to arrival. This is not a payment and this only applies to flexible rates. basic facilities, the hotel comes with bed, bathroom and wifi. Staff was very kind and informative, but that is down to people#s goodwill is it not? 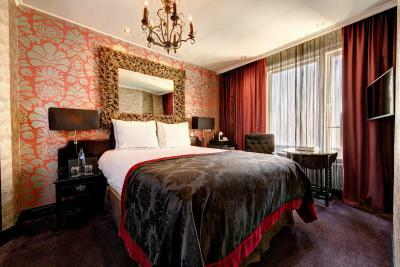 the location is nice, the hotel looks good and has all the basics but the price tag is not really justified. Everything and everyone we’re fabulous!! Maintenance and renovations were noisy throughout the day. 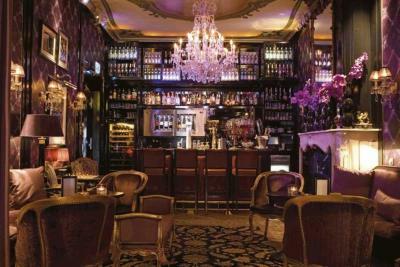 Beautiful bar, near from central. Everything was excellent the location, the staff, the food and drinks. The lighting was a little problematic to use, but once we go the hang of it, it was fine. 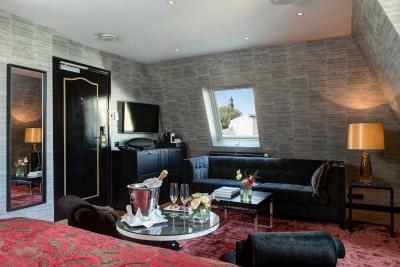 Our room (117) was superb and the bath was exceptional, a lovely surprise and a great luxury to use after a day sightseeing. The coffe machine was also a great addition. Friendly and efficient staff. 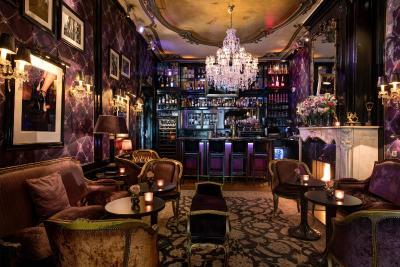 A lovely bar. Great coffee. Quirky décor. 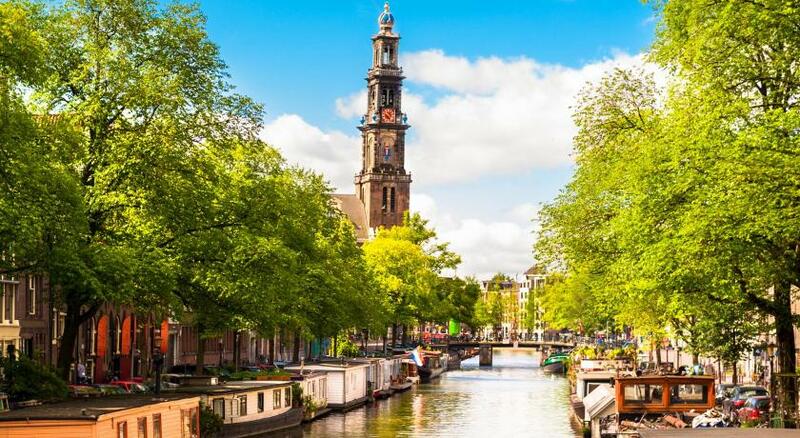 Very Amsterdam. Room was a bit tight. Some fixtures and fittings were a little tired, light fitting in room missing some bits and coming away from the ceiling, sink tap loose. Great location - easy access to the main sights. Staff were very friendly and helpful - spoke perfect English. there is indeed a very steep staircase to the bathroom and this is a challenge at night. for light sleeper, the near by church bells are pretty annoying. 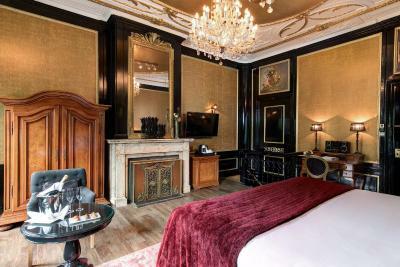 Nice 17 century setting, it feels like being in a royal suite. We had a breakfast in the room which was very fresh and tasty. The hotel offered a nice bottle of wine and made us feel welcome too. The place was clean and the jacuzzi is an unique add on.